Quite a bit has been made of the Sonics’ 14-11 finish to the season. Adding Chris Wilcox and Earl Watson seemed to spark Seattle down the stretch, causing no end to the speculation that it means next year will be a return Sonic playoff basketball. But does it really mean anything? Does playing .500+ basketball in garbage time add up to anything substantial? Are there any examples of teams that played poorly one season, then rebounded the next to great heights? And how did they fare in the final 2 months of the season? Well, let’s take a look at some recent teams that jumped from mediocrity to playoff standards in one season, the mitigating factors, and how they played down the stretch of the previous season (I limited it to the past two seasons because of laziness). First, some parameters. We’re looking at teams that went from outside the playoff picture to inside, but weren’t propelled by the acquisition of a single player (e.g., LeBron, Shaq, Steve Nash,etc.) or injury (e.g., David Robinson), since the Sonics aren’t likely to add someone of that stature and they’re not looking at bringing back anyone from the injury list (with the exception of Shawn Kemp. Ahem.). A fair comparison to the Sonics, in that they hired Scott Skiles the year before their improvement, who brought a new attitude to a team which was headed nowhere (a la the Sonics and Bob Hill/Bob Weiss). The Wizards were led by an improving Gilbert Arenas and Larry Hughes, and the addition of Jamison helped offset the loss of an injured Jerry Stackhouse from the previous year. Perhaps you’ve heard of these guys. Having Ray Allen for a full season helped, but last year was a case where everything just sort of fell into place for the Sonics. The Grizzlies bought into Hubie’s brand of bench basketball, as a number of guys contributed to the team’s improvement, including a maturing Pau Gasol and one Earl Watson. That’s obviously too small of a sample size to make any worthwhile deductions, but it does illustrate that finishing poorly does not GUARANTEE a poor finish the next season. One surface note from looking at those examples is three of the teams improved in no small part because of maturing young players. How about the rest of the league, though? Were there any teams that played well down the stretch last year and finished out of the playoffs? How did they do this season? Here are some answers. I looked at all teams’ records last year in the final 25 games, then compared it to this season (I left out such teams as San Antonio, Dallas, Miami, and Detroit because their performance is almost set in stone, and they may have been “coasting” into the playoffs). What I found is that, in a nutshell, a team’s “Stretch Drive” (SD) performance had very little, if any, relevance to its performance during this season. For example, two teams with the better SD records (Houston and Golden St.) both finished out of the playoff picture, despite going a combined 39-11 in their final 25 games. Conversely, the Lakers and Milwaukee finished last season on a woeful 11-39 note, then rebounded to each make the playoffs. Obviously, this scenario is fraught with complications. Injuries, trades, and other roster and coaching changes muddle the picture. Nonetheless, I think the implication that the Sonics’ stellar performance down the stretch indicates sunnier days ahead for Seattle is sorely misguided. IF Chris Wilcox is re-signed and matches his offensive performance, IF Ray Allen maintains his output despite advancing age, IF Bob Hill doesn’t begin to wear on the players, IF the Ridnour/Watson combination doesn’t become combustible because of the dangerous liquid known as playing time, and – most important – IF Swift/Petro continue to develop then YES, the Sonics can play well next year. That’s a lot of ifs, though, and I would hazard a guess that with that in mind the Las Vegas oddsmakers won’t put the Sonic ’05-’06 win total too far north of 45 games. Neither would I. Thanks for all the work that went into that post. I agree, it is going to take alot of things going right for us to be any good next year, kinda grim if you ask me. Kudos Nuss. I've never believed the notion that how you end one season has anything to do with how the next season will play out. It's pretty much a clean slate season to season. The only thing the improved performance down the stretch did was sell a couple more season tickets, turn the 6th pick into the 10th pick, add a few $ to Wilcox's pocket, and delay Sikma becoming head coach for at least 30 more games. I'm a little too drunk for an indepth response to this post. Perhaps later. My reason for coming to the SSS this eve is to ask if anyone has a link for a working torrent, or a copy they'd be willing to share, of the PHX/SEA double overtime 152-149 game from January. I think we could all stand to watch a good Sonics game right about now. Or some more respectable time of day. 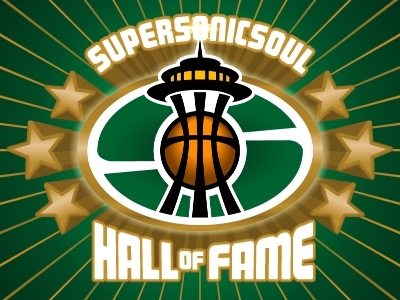 If past performance was an idicator of future performance, the Sonics would have won the championship this year considering their great play toward the end of last season (not to mention the beginning and middle). Actually, the Sonics played pretty poorly down the stretch last season - well below .500. In fact, if you look at their record month by month last year, they played great in November, great in December, and fair or worse the rest of the year. Maybe the way the Sonics played the rest of the year - and not the way they played the first two months - indicated where this team was headed. 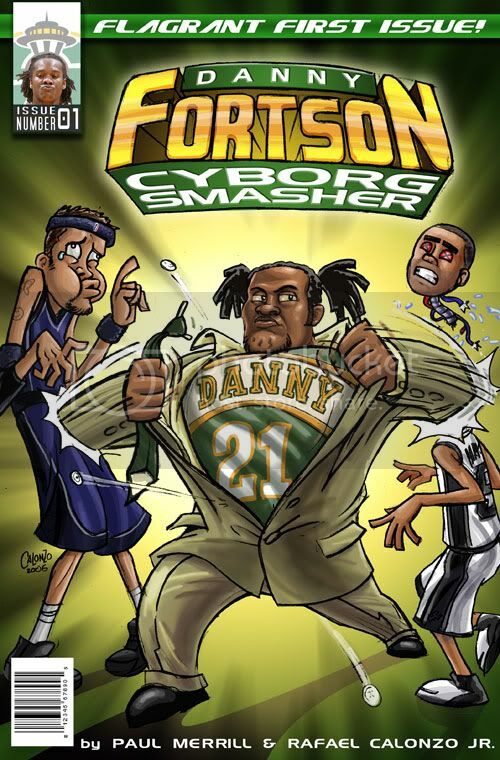 To me, it illustrates why Danny Fortson was the team MVP last year. While he was contributing - which only lasted until January, the Sonics were an elite team. When he started acting up and getting benched/injured, the Sonics fell back to the pack. Nate didn't have too much to do with it (unless you want to also give him credit for creating a .500 or worse team for the previous years as well, and for the horrific team in Portland this year). "To me, it illustrates why Danny Fortson was the team MVP last year. While he was contributing - which only lasted until January, the Sonics were an elite team." Exactly, and that was all because of Bob Weiss and Jack Sikma. Nate MacMillan and Dwayne Casey were just along for the ride I hope they paid attention and learned from their superior white counterparts. 22-6 in 2004, 30-24 in 2005. I'm not saying it means a whole lot, just that none of us really noticed last year that the Sonics really faded in the second half of the season before rallying in the playoffs. Throw out last year's season, and it looks pretty clear that this team has been headed downhill for awhile. Not exactly the 5-year plan Howard Schultz had in mind, I'm guessing. Conscious rap for real, these are the best lyricists in the business, hands down.